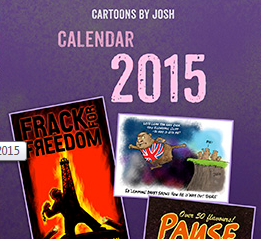 Reblog from Clive Best’s site. The basis of IPCC predictions is that any moderate warming caused by increased CO2 levels is enhanced by more evaporation from the oceans. Water vapour is itself a strong greenhouse gas and this increase results in a large “positive feedback” boosting climate sensitivity to a doubling of CO2 as high as 6C. This is all just theory however, so it is important to observe whether water vapour in the atmosphere has actually increased or not in response to increasing CO2. The data shown below are from the NASA NVAP  project based on radiosonde, TIROS,TOVS & SSM/I satellite based data. This data was kindly brought to my attention by Ken Gregory . 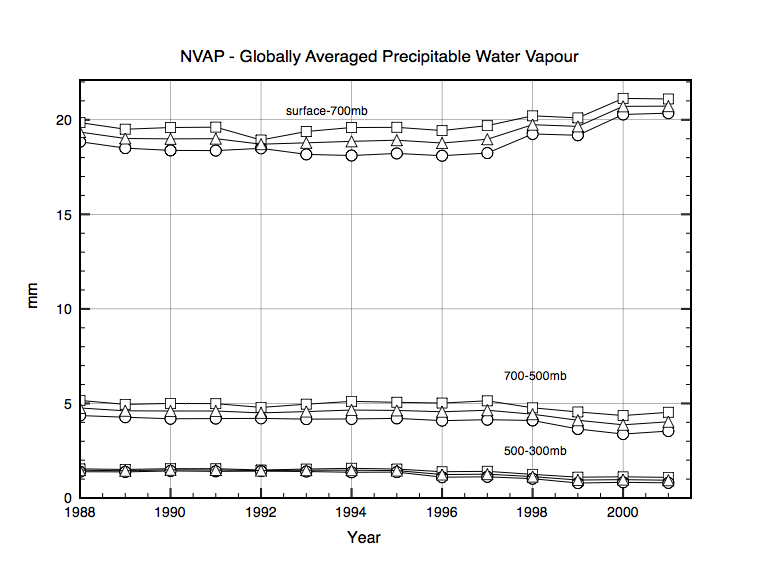 The data from NVAP shows little change in water vapour from 1988 until 2001 at all levels in the atmosphere. If anything a small decrease in the important upper atmospheric layers in the detail shown below Fig1b.